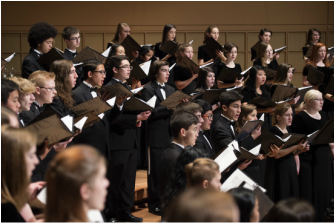 ​Led by Nora Henson, CCGD's Youth Chorus is an advanced chorus for young men and women in grades 9-12. They rehearse on Monday evenings from 7:00 – 9:00 p.m. at Lovers Lane United Methodist Church, 9200 Inwood Road. This chorus performs two to three times each semester. Tuition is $695 per year.